Side of conferences. 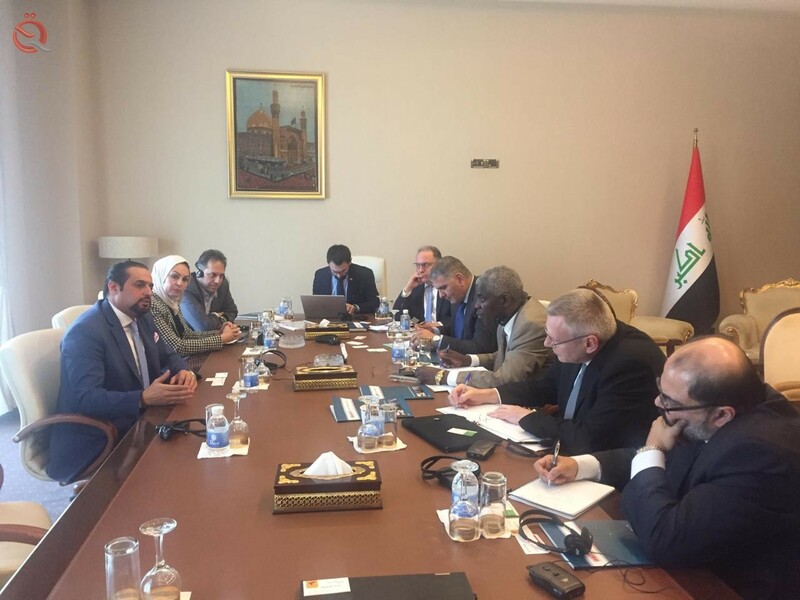 "Economy News"
The correspondent of the "economy News", said that the Arab Monetary Fund and the World Bank began to hold meetings with financial institutions, government and private within the activities of the third day of the Fund's visit to Iraq. The correspondent added that "the first meeting of the day began shortly before a delegation from the Arab Monetary Fund, the World Bank and the Iraqi Guarantees Company," noting that "the second meeting will be between the delegation of the Fund and the Rafidain government." He said that "the next meetings will be the share of the banker of Iraq and Iraq, the Islamic national Ahliin." The meeting will discuss ways to develop the banking sector in Iraq and how to provide the best banking services to customers. A delegation from the Arab Monetary Fund (AMF) arrived last Saturday under the chairmanship of the Saudi President, Abdul Rahman Al-Humaidi, in Baghdad to promote the concepts of financial inclusion in Iraq and discuss ways of developing it with the concerned parties.